This week I was planning on making a St. Patrick’s day themed something or other, but then the plague hit me hard and I spent several days sliding in and out of various states of consciousness. Luckily, this cake is delicious any day of the year, so I’m just going to roll with this and recommend you make it anyway. 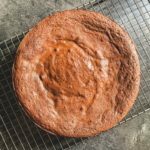 This is the second time I’ve made this Flourless Chocolate Cake recipe. I tried it out a few weeks ago, but didn’t have a chance to write about it. I was amazed at how fast, easy and utterly decadent it was! 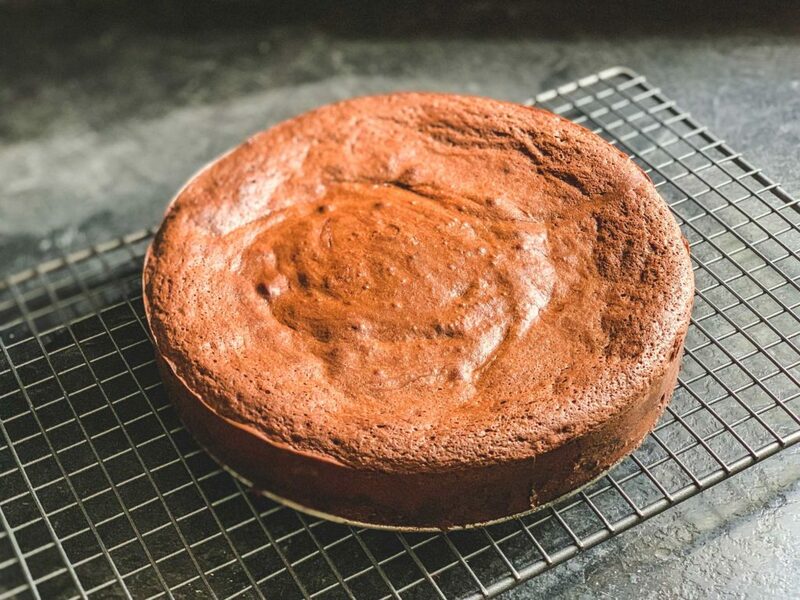 If you’ve never had a flourless chocolate cake before, you might be wondering how on earth it could even resemble a cake. Well, I’ll tell you how – magic! Also eggs. This recipe is so dead simple. Start by melting some butter and bittersweet chocolate together. Since the chocolate is such a dominant flavour in this cake, I recommend using a good quality chocolate. For this recipe I used Lindt 70% cacao dark chocolate bars, but you could use whatever bittersweet chocolate you prefer. Ideally its best to melt the chocolate and butter in a double boiler. You can make one by simply placing a heat proof bowl over top of a saucepan of simmering water. The reason for using this technique is that you can very easily burn chocolate if you place it on a direct heat source at too high of a temperature. Chocolate is very heat sensitive, and if heated too much can become lumpy and grainy. I’ll admit I was lazy and just melted mine directly in a saucepan, but that’s because I know my stovetop can maintain a very low temperature, and the bottom of my pans are quite thick. I also stirred it constantly the entire time it was melting to ensure even heat distribution. Once your butter and chocolate is all melted down and smooth, set it aside to cool for a few minutes. Meanwhile, you can start on your eggs. I like this recipe because it calls for 6 whole eggs. This means you don’t have to spend time separating out the whites and the yolk. You also don’t end up with leftover eggs parts that you’ll either throw out or stick in the back of your fridge and forget about for two weeks. Add some sugar and a pinch of salt to your eggs and then start whipping them on medium-high speed for a good 5-8 minutes. The pinch of salt is supposed to act as a stabilizer and to help increase the volume of the eggs. However, I have read mixed things about the effects of when and how to add salt to eggs. The first time I made this recipe, I added the salt. The second time, I didn’t. I do think the first cake I made, where I included the salt, resulted in more a more stable egg foam, but it’s hard to say for sure. I think I will have to flag this item as a future experiment. Regardless, the egg whipping phase is quite crucial. This is where you’re going to get all the volume for your cake. You really want to whip those eggs until their super thick and fluffy. 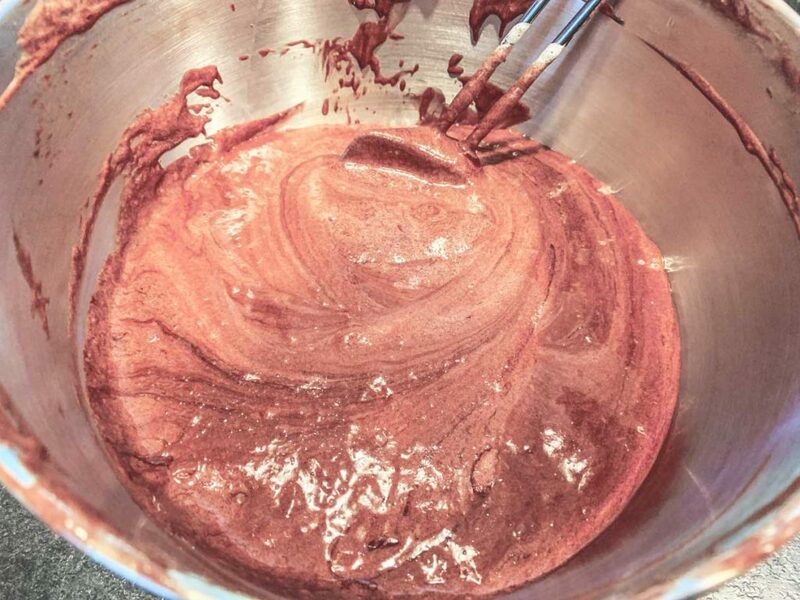 Add half the melted chocolate to your egg mixture. Use a spatula to gently fold it in until just combined, then fold in the rest of the melted chocolate. 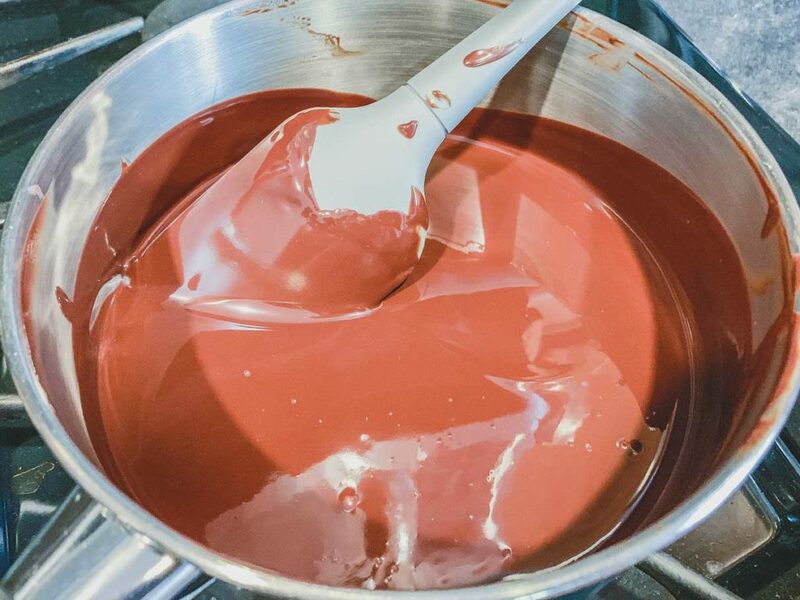 Since the chocolate is heavier than the eggs, it will sink to the bottom of the bowl, so be sure your reaching the spatula right down to the bottom so that you can incorporate all that chocolate! 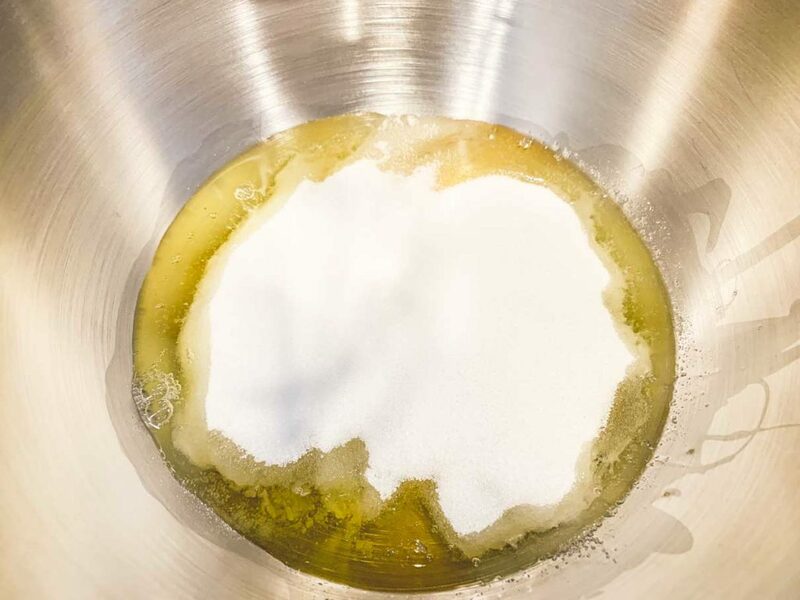 Pour your chocolate/egg mixture into a lightly buttered 9″ spring form pan. I also line the bottom of the pan with a round piece of parchment paper to ensure it doesn’t stick. Bake for 35-45 minutes until a tester inserted into the middle comes out with just a few crumbs. 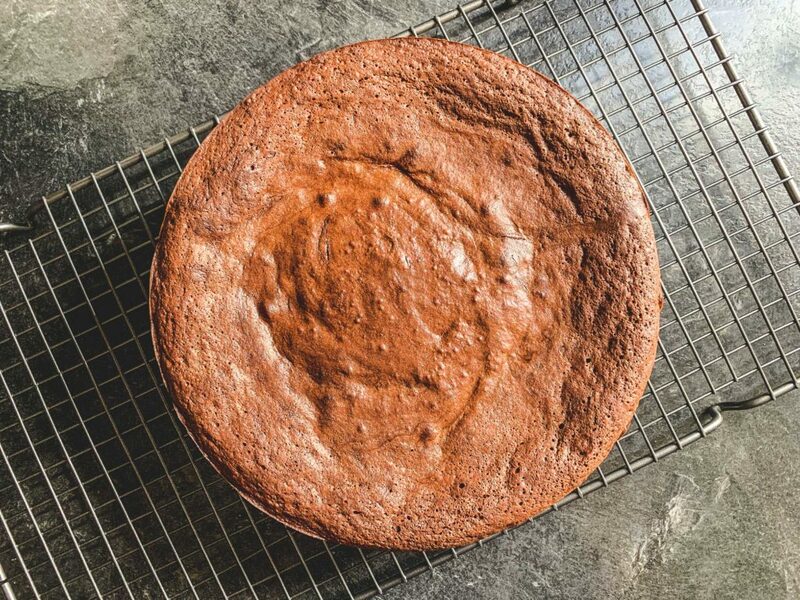 Allow the cake to cool completely in the pan before removing it. I recommend dusting the surface lightly with some cocoa powder, which I ironically forgot to do when taking these photos. This cake is particularly delicious when served with some fresh raspberry sauce and a pile of whipped cream! A rich, decadent, flourless chocolate cake. Extra delicious when served with a fresh raspberry sauce and whipped cream! Pre-heat your oven to 350°F. Lightly butter the bottom and sides of a 9" springform pan. (Depending on your pan, it might also be good to line with a parchment circle on the bottom). 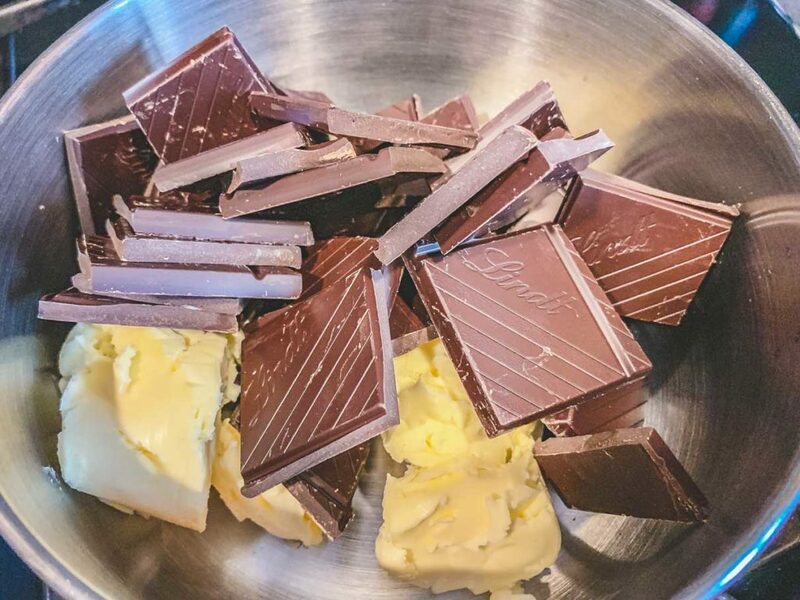 In a double boiler, melt the butter and chocolate together. Stir until completely melted and well combined. Set aside to cool. 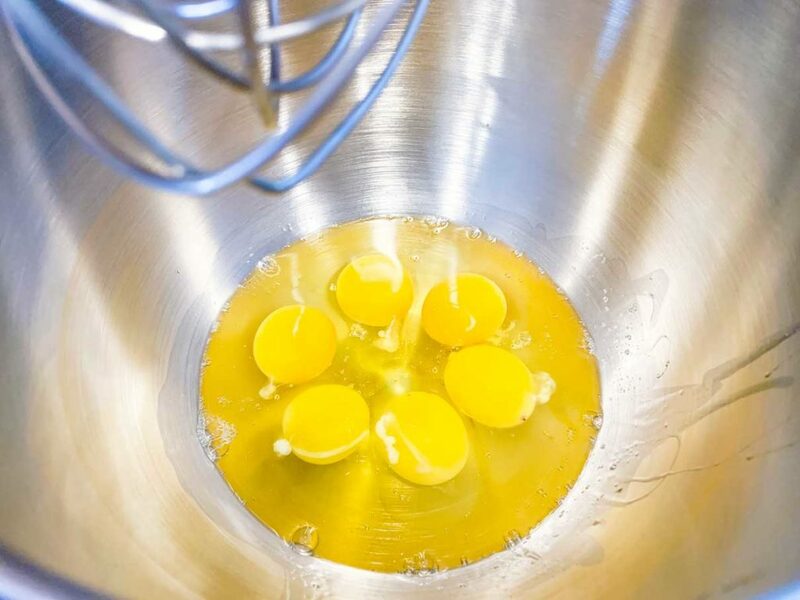 In the bowl of a stand mixer, fitted with a whisk attachment, add the eggs, sugar and pinch of salt. 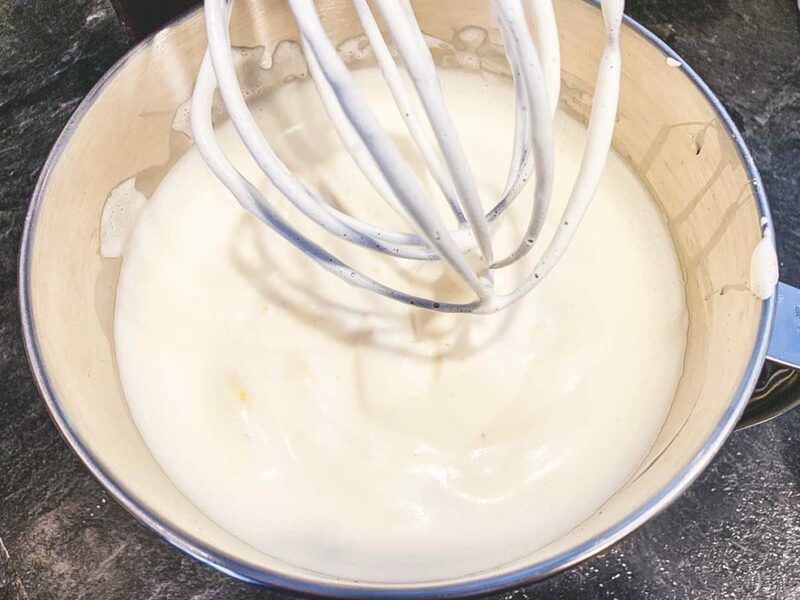 Whip on medium-high speed for 5-8 minutes until pale, thick and fluffy. Gently fold half the melted chocolate into the eggs until just combined. Fold in the other half of the chocolate until well combined. Pour the mixture into your prepared pan. 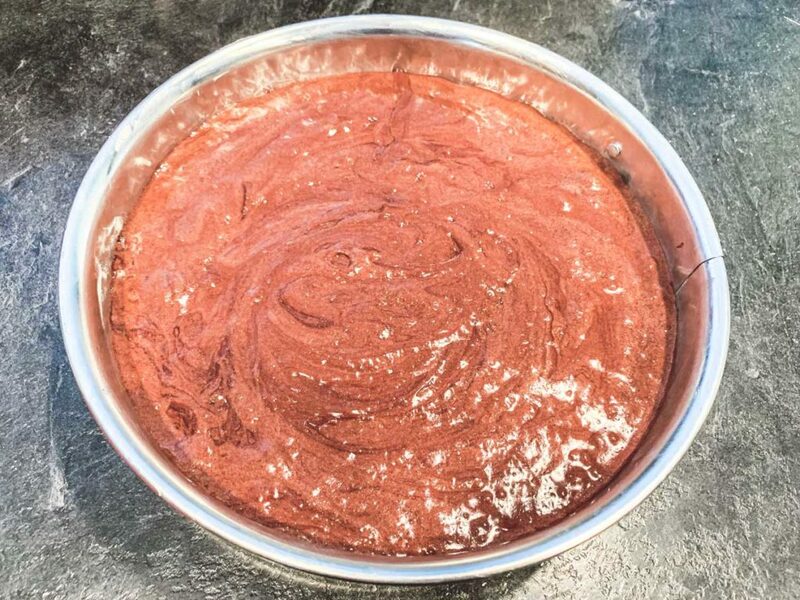 Bake for 35-45 minutes until the centre of the cake barely jiggles when shaken, and a tester inserted into the centre of the cake comes out with just a few crumbs. 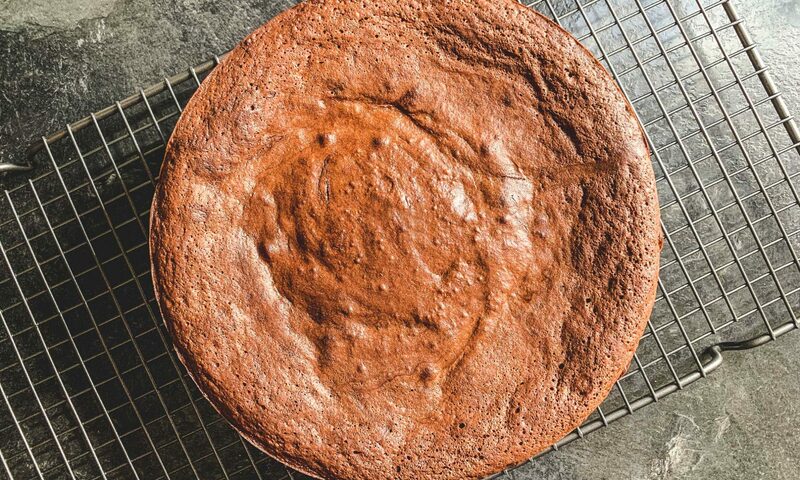 Allow the cake to cool in the pan completely before removing the springform ring. 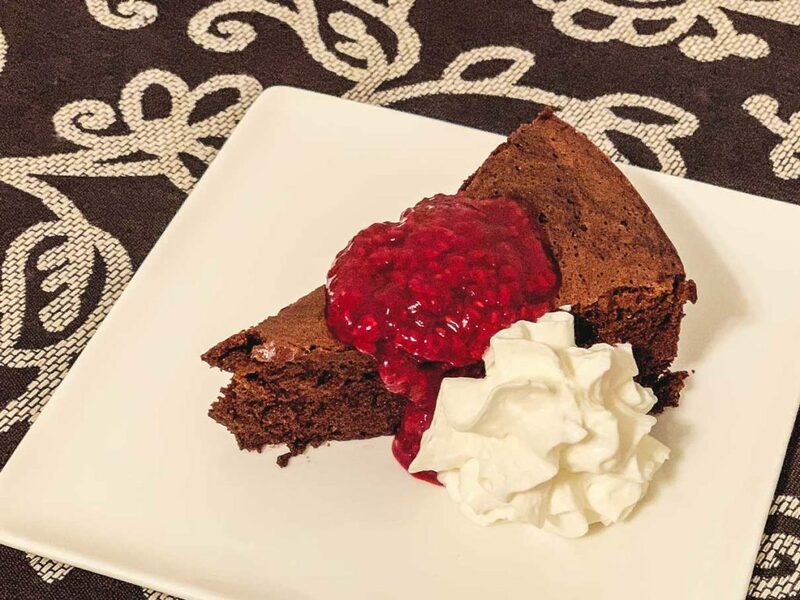 Dust with cocoa powder and serve with raspberry sauce and fresh whipped cream. Recipe sourced from The Food Network.